Partners for Stennis & Michoud, in conjunction with the leadership at Stennis Space Center (SSC), have established an annual Roy S. Estess Public Service Leadership Award. The award commemorates the exceptionally high standards of public service Mr. Estess upheld. This award is intended to honor current community leaders with career contributions and a record of volunteerism that reflects those same values. A judging panel will select one individual to be recognized as warranted. April 18, 2015 – Fred W. Haise, Jr.
During the course of 42 years of service in the United States government, Mr. Roy S. Estess demonstrated leadership of such caliber that he is widely regarded as a NASA pioneer as well as a mentor and coach to many of the agency’s current and former leaders. Contributing leading edge technical and business expertise throughout his career, Mr. Estess worked as a propulsion test engineer on perhaps the greatest technological achievement of all time, the Apollo missions to the moon. Working up the ranks, his vision and leadership subsequently led to SSC becoming a unique federal city which hosts more than 40 federal, state, academic and private organizations and now stands as an ideal business model for other federal field sites to emulate. He was a special assistant to two consecutive NASA Administrators, served for three years as the agency’s Equal Opportunity officer, served as acting director of the Johnson Space Center in Houston, TX and as director of SSC for more than 13 years. 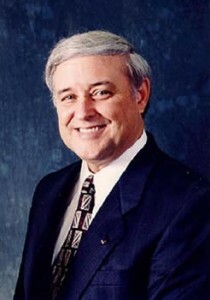 Coupled with a lifetime of community service through Boy Scouts of America and extensive volunteerism, Mr. Estess’ efforts generated such impact that he was recognized by a wide variety of awards and honors, only some of which include: the Presidential Distinguished Service (twice) and Meritorious Senior Executive Awards; NASA’s Distinguished Exceptional Service, Equal Opportunity and Outstanding Leadership Medals; and the National Distinguished Executive Service Award for Public Service. He was named an Alumni Fellow of Mississippi State University and Citizen of the Year by the residents of Tylertown, Mississippi. Sustained business and/or leadership influence that produced specific innovations and improvements in the surrounding communities. A record of volunteerism and community service exhibiting a profound commitment to the well-being of the general public. Be clearly superior in quality, scope, and impact. Be explicit, demonstrate quantitative results (i.e., metrics), and be perceived as outstanding or significant by peers and impacted target groups. This award is open to the general public for an individual, outside the realm of the NASA employees, who has provided significant and sustained contributions to surrounding communities.